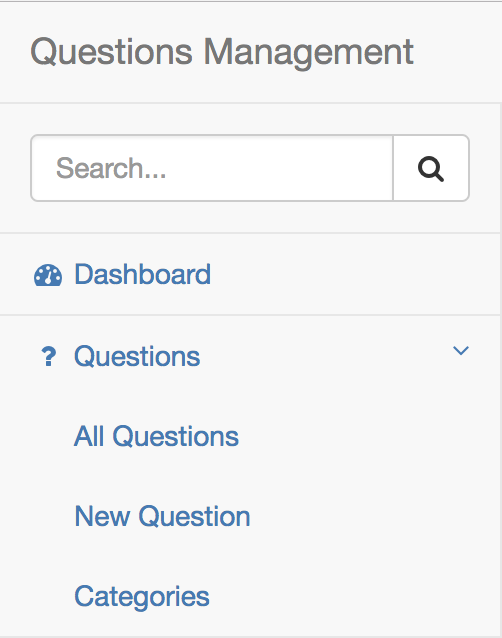 To build the interface for adding new question in the Frontend section of the Questions Management application, first of all, I will add a menu item called “New Question” in the item Questions menu in the left sidebar. 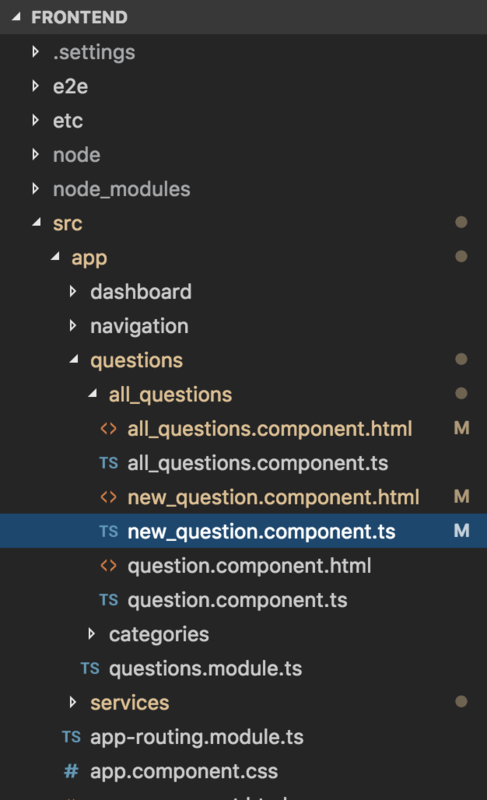 Next, I will create a new component called NewQuestionComponent located in the src/app/questions/all_questions directory. 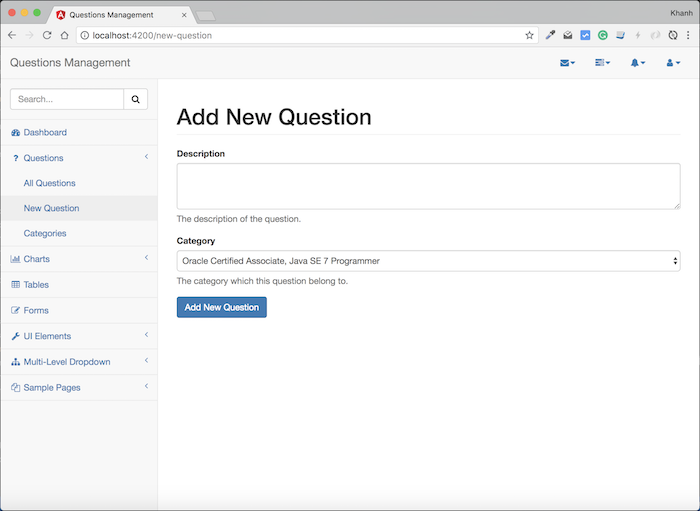 The last step we need to do is to edit the left menu for the “New Question” menu item using the Angular routerLink directive so that we can navigate to the “New Question” page.